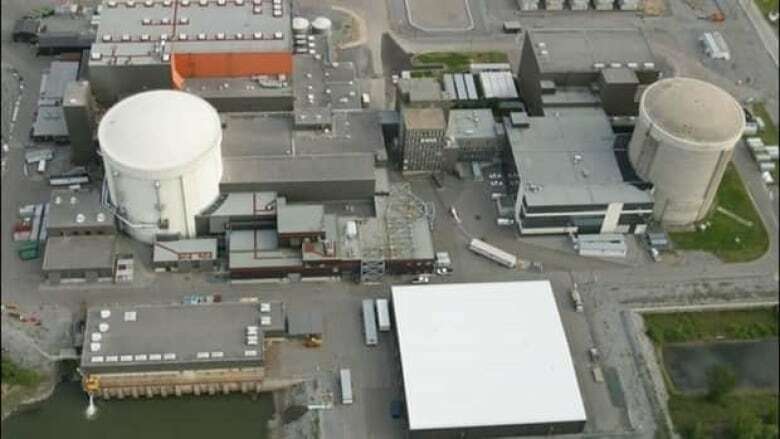 For the next 18 months, a team of 485 workers will decommission the Gentilly-2 power plant, located near Bécancour, Que., putting an end to 29 years of nuclear energy production. Quebec's sole nuclear power plant will cease production at 10:30 p.m. today after 29 years of generating electricity. For the next 18 months, a team of 485 workers will decommission the Gentilly-2 power plant, located near Bécancour, Que., about 150 kilometres northeast of Montreal. Murielle Masse, spokeswoman for the union that represents over 700 of the plant's employees, said temporary workers will be laid off, but have priority for other employment by Hydro-Québec. If everything goes according to plan, the nuclear plant will be dismantled over a period of 18 months, beginning in January. Workers will have to discharge the reactor's fuel, treat heavy water and deactivate several systems. The fuel and contaminated water will be transferred to holding pools for seven years. After these steps, Gentilly-2 will undergo a "sleeping" stage for 40 years. By 2062, the used fuel rods will be removed from the location and the plant will be completely taken apart. The plant's closure is expected to cost $1.8 billion over a period of more than 50 years. The plant's licence was set to expire this year and refurbishing would have come with a price tag of nearly $4.3 billion, according to Hydro-Québec. Renewing its licence would have meant the plant could operate for another 30 years. The Parti Québécois government's decision to put an end to the plant sparked outrage with the workers' union and some citizens of Bécancour. In a report sent to Le Devoir in September, the union said the price to reboot the plant would be $2.4 billion. Environmental groups applauded the government's decision to shut down the plant, but local politicians and business leaders expressed concern over the effects of the 800 jobs lost. Michel Fugère, spokesman for the Mauricie's Green Movement, said the closure is a "great gift" and represents "a big day" for all Quebecers. He pointed out that several polls suggested more than 60 per cent of the population in Quebec's Mauricie region supported the plant's closure. Jean-Denis Girard, president of the chamber of commerce in Bécancour, said the plant was safe and was producing a substantial amount of energy. Girard said he plans to actively oppose the closure until a permit is delivered for the dismantling. Girard said he would bring cost comparisons to a legislative committee showing La Romaine hydroelectric project and wind-power plants are less profitable than the nuclear plant. He said Quebec Premier Pauline Marois told him the government's decision was "economic and not ideology." According to Girard, it will take five years and lots of funds for Hydro-Québec to downgrade the plant and change its personnel.